MADISON, Wis. — Advocates, lawmakers, and the tavern league are all bringing different perspectives to a common theme. They all have a willingness to look at tougher drunken driving laws. "To deter people, and it will," advocate Marla Hall said. "It will save lives." At this year's lobby day for Mothers Against Drunk Driving and the Tavern League, we heard about several bills lawmakers introduced this year. Representative Jim Ott's Assembly Bill 18 would criminalize a first-offense OWI. "If they don't offend for a period of five years, it would revert to a civil forfeiture," Ott said. "But it would make the crime, a first offense OWI, handled more seriously than it is right now." Ott has also introduced several other bills this year. One would require OWI homicide offenders to serve 5 years minimum in prison. Another bill would increase penalties for 5th and 6th offenses, and another would require OWI offenders to appear in court. "You know what, I don't care if it floods the court system," Ott said. "If somebody commits a crime they ought to go before the judge." Ott's colleagues in the Senate have introduced bills expanding requirements on ignition interlock devices. 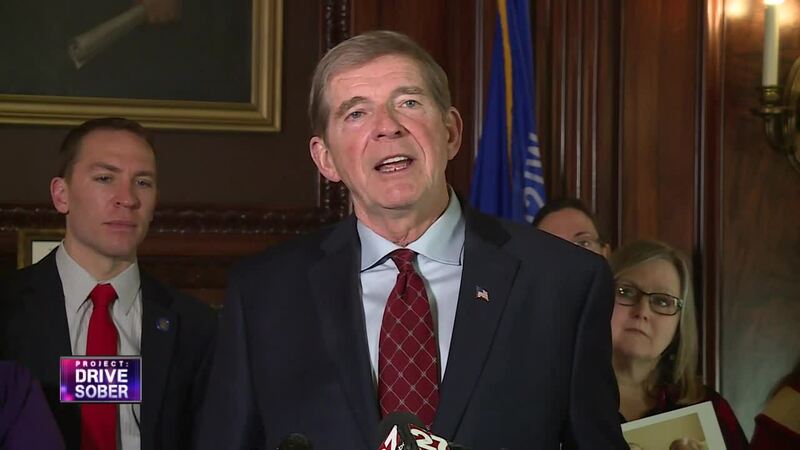 Under senator Andre Jacque's bill, offenders would get an ignition interlock device,and after 6 months of clean driving the OWI could be expunged. Senator Chris Larson's bill requires all alcohol OWI offenders to get an ignition interlock. "Having it in the first offense, having it in every conviction, will create a change in the culture which is what we need to shift," Larson said. "We have a drinking culture in our state, and unfortunately we have a drinking and driving culture." Bills like Larson's and Ott's have been introduced in the past. They're not becoming law. Some advocates blame the Tavern League of Wisconsin, but their lobbyist says that at least when it comes to first offense criminalization - look at the lawmakers. "In this building, dollars and cents are an important part of the debate," lobbyist Scott Stenger said. "I'm not lobbying on that issue. We lobby in support of repeat offense tough penalties, ignition interlock for repeat offense."